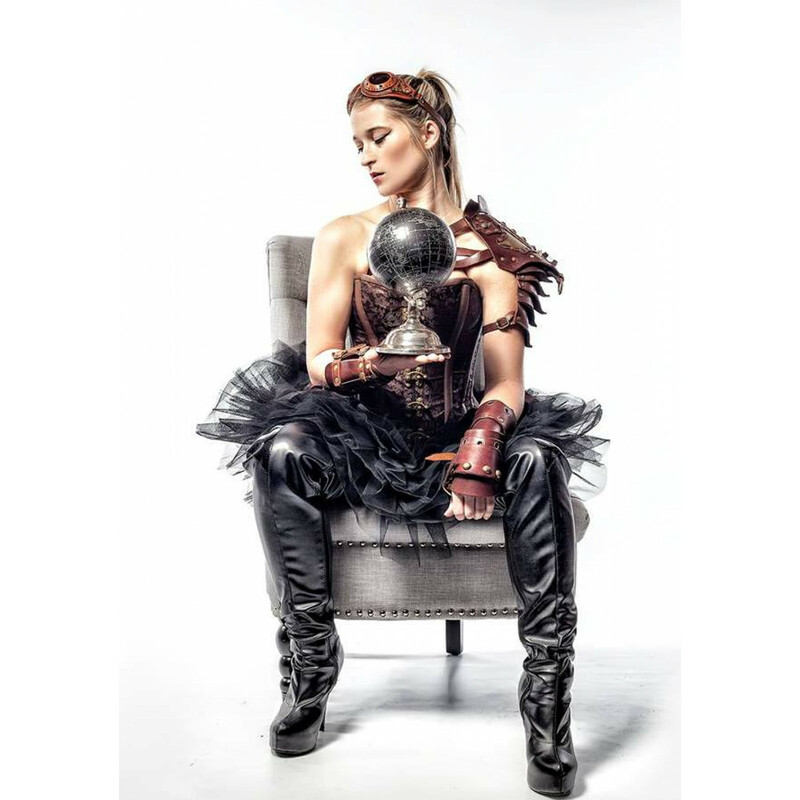 Creative inspiration for this steampunk corset comes from a world where flying goggles, airships and spies are all the rage. In keeping with that, a steel boned corset has been created from a beautiful brocade cloth. The bone casings have been made from a matt faux leather, which also runs along the top and the bottom of the corset. This not only breaks up the beautiful brocade cloth, but helps keep the steel bones in place too. A prominent vintage effect brass swing busk has been selected as the front closure for this corset. This keeps the corset looking simple and uncluttered while creating that upcycled feel. The final finishing touches are the vintage effect brass grommets at the back, which make sure the corset gives the correct effect from every angle. We offer a no-nonsense 30 days refund policy. I love this corset. It is gorgeous, high-quality, and looks so good when it's on. The hooks are really easy to use. I can get this corset on with no assistance at all (I have some trouble with traditional hooks). The hooks also make it look less like a strictly boudoir corset and more like something you'd wear for a night out. I plan to pair it with jeans and a ivory shirt.